Mobile phones are mostly used to take photos and not so many people take real professional cameras with them. Every average mobile device has a decent camera and people just find it easier to use phone’s camera instead of bringing an additional gadget. The problem occurs when after some time you get too many photos in your phone and it just starts to malfunction. If you use your phone camera to take photos, you’ve probably experienced at least once in your lifetime that your phone memory is overloaded. Today we will show you how to move pictures to SD card and take off that burden from your phone. SD cards are actually an additional memory and some phones already have them by default. Phones with sd cards, or at least sd card slot, are very good because you can always change that sd card and buy one with bigger space on it. Have in mind however that your phone cannot support sd card of every size. Every mobile device has its limit so before buying an sd card, get informed about your phone’s limits. Where are pictures stored when you take a shot? Usually it is set up by default to store pictures on the phone memory, on the device storage in the pictures folder. But pictures can be automatically stored in sd card if you change the settings. Anyway, if you didn’t set this up and you have been struggling with the full memory on the phone, the only thing to do is move pictures to sd card. Unfortunately, not all types of phones have the exactly same process of transferring photos and files to sd card. So you need to learn how to move pictures to sd card for your specific type of phone. The difference is not huge and even though you don’t find the guide below that corresponds to your phone, the steps should be similar. First tap on Edit and then tap on all pictures you want to move. The selected pictures would have the check mark. Again, tap on and then on Move. Finally, tap on sd card. If you have multiple folders in your sd card, select the preferred folder and tap Done (on some phones it is Move here). This is one of the easiest ways and it should work on all mobile devices. But you need a computer for this purpose and a usb cable. With that cable you will connect your phone to your PC or Mac. In some cases, you will need to tap on the phone to choose the option different from Charge only. In other cases, the window will pop up automatically and you just need to open the main folder that leads to your phone content. 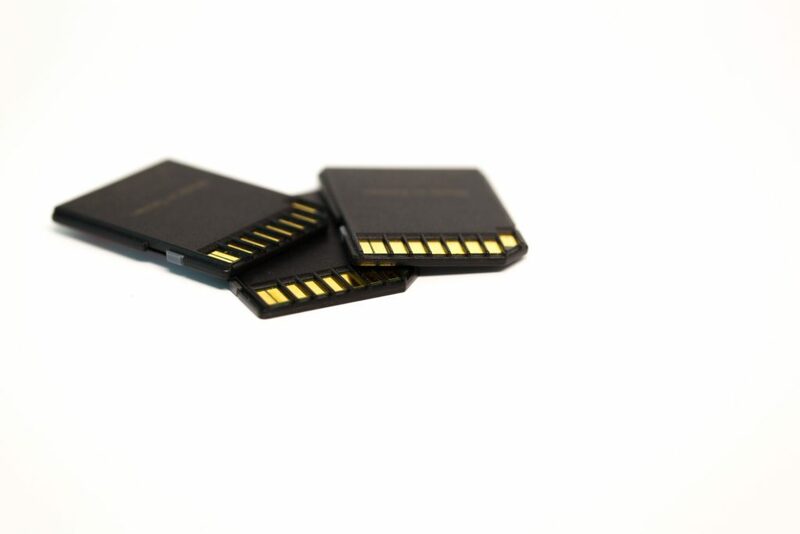 Internal storage of your phone and the sd card should be seen as two different folders. You simply need to copy pictures from the internal storage and paste them in the sd card folder. There are many file manager apps that make this whole process of transferring files much easier. Some phones already have file managers installed by default. If your phone doesn’t have such app, you can visit the app store or Google play store and search for “file manager” app. Most of these file manager apps are free to use, and the steps are very simple. It usually comes down to choosing multi select option to mark multiple images and then tapping on Move option and finding SD Card as a “move to” option. In generally, every smartphone has a similar icon for Settings option, in the shape of gear. Tap on it and find Device and Storage option. It is not always called like this, but usually Storage is mentioned. Find the internal storage option and tap on Images. If you want to move pictures taken by your camera, go to Camera folder. If you use Viber, Instagram, Facebook you probably have folders in those names, because all pictures saved from these apps are kept in separate folders. You can move pictures from these folders in the same way. If you want to move all the pictures, you can either select the folder or tap on and then Select all. To select only specific pictures, tap on each picture once. The next step is to tap on Move to, on some devices it is known as Copy to, or simply Move. Now tap on your sd card and again on the specific folder in your sd card, where you want to move photos to. If you don’t have a folder, you can create it. Finally, tap on the button Copy/Move/Done, depending on the phone you use.